Working together with Sight and Sound Technology and Freedom Scientific, RNIB (Royal National Institute of Blind People) has launched five computer models with preloaded JAWS speech software or MAGic screen magnification software. This is the first RNIB accessible computer, complete with preloaded software, which will help improve access to technology for people with sight loss. Customers can ask for it to be tailored to arrive with the software ‘switched on’ making it accessible from the outset. The software can also be ‘switched off’ so that other members of the family can use it too. 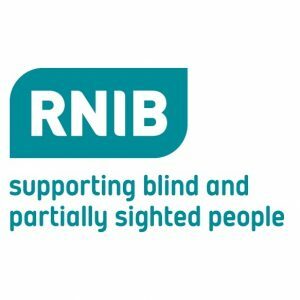 Steve Tyler, Head of Solutions, Strategy and Planning at RNIB, said: “We’re delighted to announce the launch of the RNIB accessible computers. Our aim was to provide blind and partially sighted people with easy access to technology, at an affordable price. By considering accessibility, products and services can be opened up to an audience of almost two million people affected by sight loss. Each computer will have Microsoft installed as part of the package and the Business edition will be available to purchase at the same time. Customers will have access to one-to-one telephone support from Sight and Sound, and the RNIB Technology Support Squad is also on hand to help. All the models will be at Sight Village, the UK’s largest sight loss exhibition, held 14-15 July 2015 inBirmingham. Be the first to comment on "RNIB launches fully accessible ‘ready to go’ computer range"